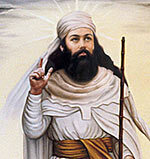 Zoroaster/Zarathustra (c 550-523 BCE) was a prophet and spiritual teacher who founded the religion of Zoroastrianism. Zoroaster was a religious reformer teaching a monotheistic religion based on choosing between light and darkness – truth and falsehood. Little is known about his early life, though his name Zoroaster is derived from the ancient translation of ‘camels’. Zoroaster was born into a priestly caste who dominated the religious and social practices of the day. The religion which Zoroaster was born into was loosely based on a form of Hinduism. It is known that the religious practices of the time involved animal sacrifices and there were rigid caste structures. There was also significant use of intoxicants, such as the Haoma plant. The religion was polytheist with a variety of gods and powerful beings worshipped. When Zoroaster was thirty years old, he had a startling religious experience whilst performing a purification rite. 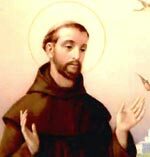 This experience transformed his spiritual and worldview, and as a consequence, he began to teach a new spiritual philosophy. Firstly Zoroaster taught the belief in one Creator / One God, and rejected the worship of some deities, (Devas) which Zoroaster considered were harmful because they delighted in conflict and war. Zoroaster taught that life was a continuous choice between good and evil, and people must be careful to choose the right path. This fight between good and evil can also be described as a mental struggle between aša (truth) and druj (lie). Zoroaster taught that his followers must always seek to adhere to the truth, and choose in thought, word and action that which aids the divine force in the world. Zoroaster believed that it is this continual acceptance of the right path, which brings us closer to God and helps us to become co-workers of Ahura Mazda (a term for God) in creating a better world. Zoroaster believed everyone was equal before God. However, his radical philosophy and challenge to the existing social and religious system made him unpopular and he found that he had to leave his place of home and so moved to the land of Bactria, where King Vishtaspa ruled. King Vishtaspa and his queen, Hutosa admire the philosophy of Zoroaster and decided to accept his ideas, making it the official religion of their kingdom. 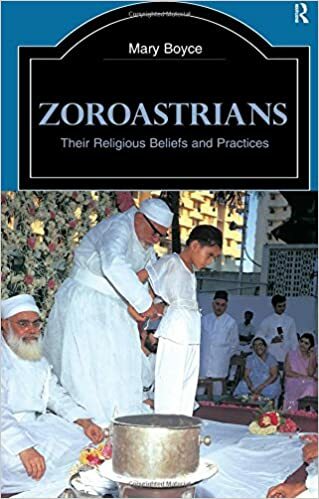 Zoroaster is credited with writing the Yasna Haptanghaiti and Gathas; these are hymns / sacred texts which are the philosophical core of Zoroastrianism. The religious ideas of Zoroastrianism spread to Western Iran and it became a well-established religion. 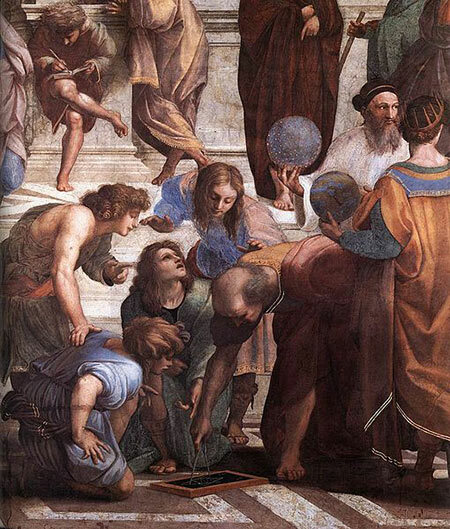 A painting by Raphael entitled ‘The School of Athens’. Zoroaster is depicted in white, holding the globe. The philosophy of Zoroastrianism had an important influence in ancient Greece and Judaism. Greek philosophers took inspiration from Zoroaster. Greek and Roman writers also attributed to Zoroaster – the powers of ‘magic’ and ‘astrology’. But, these works were primarily what Greek and Romans (and later Christians) imagined the doctrines of Zoroastrianism to be. Although Zoroaster is not specifically mentioned in the Qu’ran, he is considered a prophet and founder of the Zoroastrianism religion, and worthy of respect. Ahmadi Muslims view Zoroaster as a Prophet of God and describe the expressions of Ahura Mazda, the God of goodness and Ahriman. Zoroaster also appears in Manichaeism and the Bahai Fath as a prophet and manifestation of God. Citation: Pettinger, Tejvan. “Biography of Zoroaster”, Oxford, UK. www.biographyonline.net, 18th March 2015. Last updated 25 Feb 2018.